Eastimate helps you create better project estimates. Stop worrying about making unrealistic project timelines, and underestimated budgets. Easily update your project estimate together with your team. Why did you create Eastimate? I'm a web designer/developer and have learned the difficulties in creating time estimates the hard way. I've created excel sheets so complex that they are almost impossible to update. I've tried a number of project management systems that all claim to be easy, but requires days of training just to get you started. So, I built a tool that does exactly what I need. I think it's awesome, and I think you'll love it too. Yes, my ambition is to always provide a free version of the service. I plan to add extra premium functionality in the future, in order to cover development and server costs. Eastimate works for anyone that needs better time estimates. I created Eastimate for my own needs as a freelance web designer/developer, but have found that it works really well for small to medium sized teams as well. Is my project data secure? Eastimate's data is saved on Google's infrastructure, and is backed up an daily basis. We recommend that you protect your account with a strong password and take care when sending project sharing invites to teammates. I would not recommend putting top secret plans in any cloud-based service. While it's easy to start using Eastimate without instructions, you can learn everything you need by watching these tutorial videos. 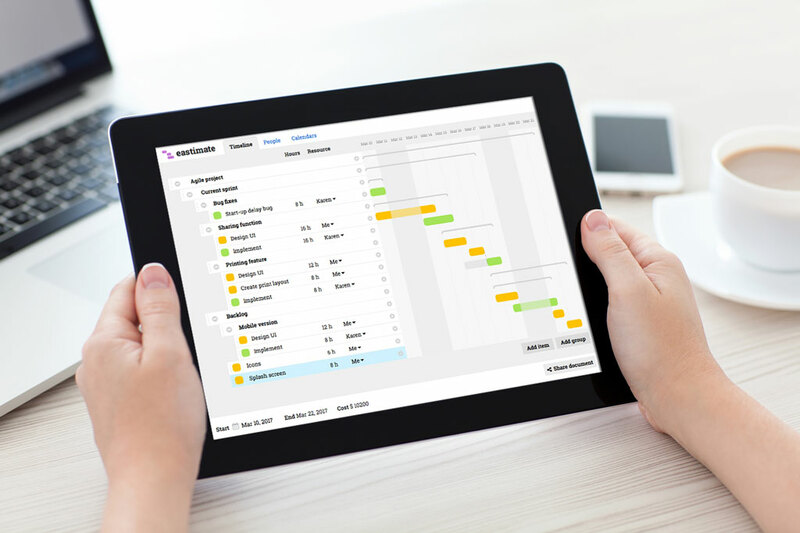 My goal is to create the easiest task management tool available, while still keeping powerful features that's usually only found in advanced project management suites.